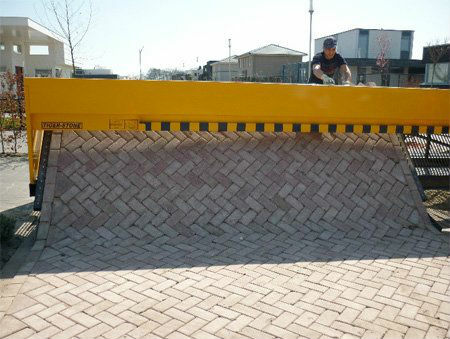 the brick paving machine is an innovative machine that mechanizes the laying of brick pavements so that brick masons and the labores supplying them work more ergonomically and productively to build brick pavments more quickly with less expense. 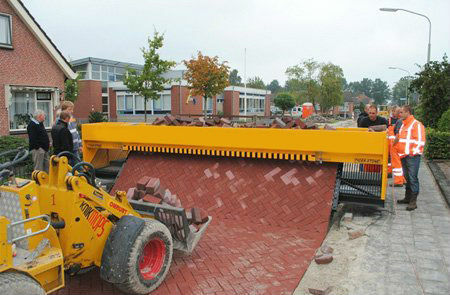 The SY6-400 is a six meter wide paving machine that street / road at one time can be perfectly re street. The SY6-400 also brings directly to the edge. 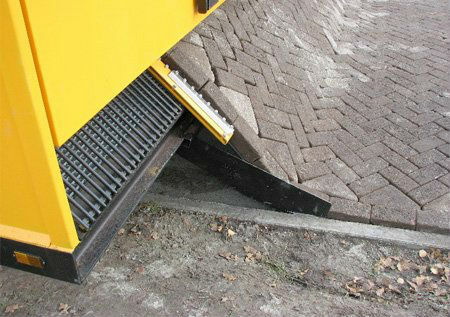 The end result is that the stones are immediately locked tight between the curbs. The street / road in one hit and there is no waste or debris on the road! 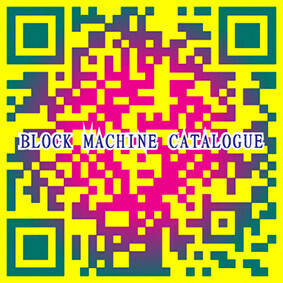 2.could paving 400 sqm for a single day.